Since 1997, we have seen in circulation hoax emails appealing with phrases such as: “Forward this message to others and help fund medical care for a sick or dying child“. Invariably, these messages named a large charity as the benefactor that stood ready to direct monies towards the costs of medical care for a child fighting for life. That trend continued into 2010. Here is a heart-wringing message I came across on Facebook. Everyone with a sympathetic heart wants to help sick children to get better. The message about a little boy or a little girl suffering from some dreaded disease or infirmity certainly tugs the heartstrings of many. Even so, on the internet pranksters play upon the pathos of others for their personal odious amusement. Search through the archives on the internet failed to turn up any news about the shooting of any young man by his stepfather and his struggle for life in any hospital. Lamentably, this message is a hoax. This message does not give the date and the place where this incident occurred nor does it mention the name of the hospital that takes care of the boy. Similar appeals to save a young life began circulating first through e-mails and later as cell phone text messages and in social websites such as Facebook. Please, do not immediately believe that whatever appears on Facebook or any other site on the web as 100% true. 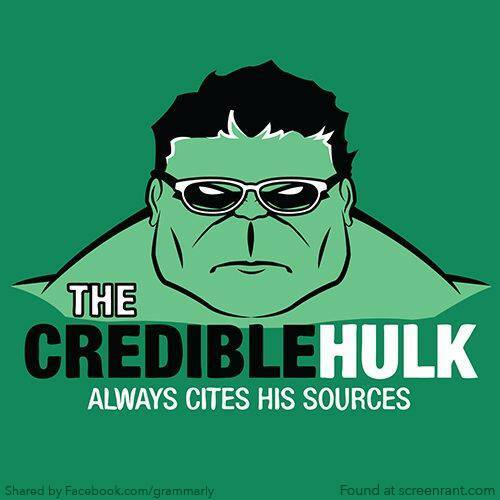 First, verify the news. If it is true, and you want to help, then give your money or your time for the cause. So, from now on, refrain from forwarding worthless messages to others. Well-intentioned forwarding of messages does nothing towards helping a sick child; however, it does make the day of the prankster who initiated the hoax. Recently, I found the Unicode Technical Notes that provide information on a variety of topics related to Unicode and Internationalization technologies. The website stresses that these technical notes are independent publications, not approved by any of the Unicode Technical Committees, nor are they part of the Unicode Standard or any other Unicode specification and publication and does not imply endorsement by the Unicode Consortium in any way. These documents are not subject to the Unicode Patent Policy nor updated regularly. Being a Tamil, Unicode Technical Note (UTN) #21: Tamil Numbers by Michael Kaplan, fascinated and impressed me. Originally, Tamils did not use zero, nor did they use positional digits. They have separate symbols for the numbers 10, 100 and 1000. 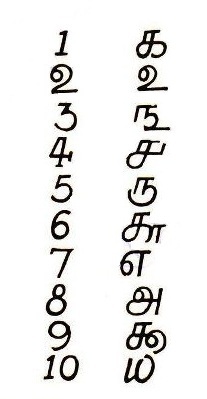 Symbols similar to other Tamil letters, with some minor changes. For example, the number 3782 not written as ௩௭௮௨ as in modern usage but as ௩ ௲ ௭ ௱ ௮ ௰ ௨. This would be read as they are written as Three Thousands, Seven Hundreds, Eight Tens, Two; and in Tamil as மூன்று-ஆயிரத்து-எழு-நூற்று-எண்-பத்து-இரண்டு. Readers have viewed this post more than 92,900 times. admirable, alluring, angelic, appealing, beauteous, bewitching, charming, classy, comely, cute, dazzling, delicate, delightful, divine, elegant, enticing, excellent, exquisite, fair, fascinating, fine, foxy, good-looking, gorgeous, graceful, grand, handsome, ideal, lovely, magnificent, marvelous, nice, pleasing, pretty, pulchritudinous, radiant, ravishing, refined, resplendent, shapely, sightly, splendid, statuesque, stunning, sublime, superb, symmetrical, taking, well-formed, wonderful. 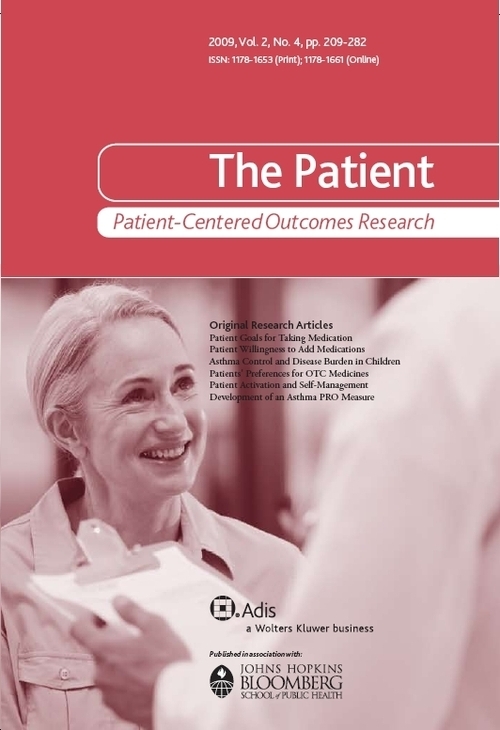 Medical journals and men’s magazines publish photos of women, but the pictures would be aesthetically pleasing differently because of their unrelated motivations. Though the journal is more revealing, the magazine has the allure. animal, appalling, awful, bad-looking, beastly, deformed, disfigured, foul, frightful, grisly, gross, grotesque, hard-featured, hideous, homely, horrid, ill-favored, loathsome, misshapen, monstrous, not much to look at, plain, repelling, repugnant, repulsive, revolting, uncomely, uninviting, unlovely, unprepossessing, unseemly, unsightly. 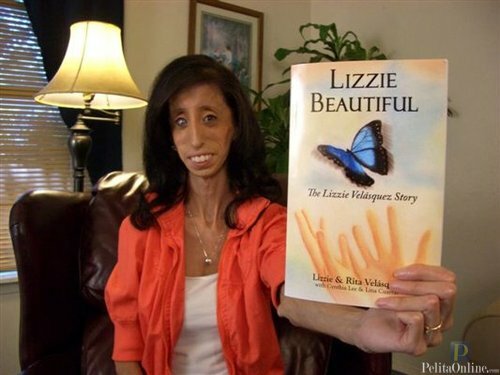 Born in San Antonio, Texas, Lizzie Velasquez, four weeks premature weighed just 2 pounds 10 ounces (1.190 kg), and she has a rare genetic disorder. She has no adipose tissue to create muscle, store energy, or gain weight. The doctors told her parents that their child would never be able to walk or talk, or live a normal life. Only two other people throughout the world have a similar ailment. Lizzie does not have body fat and weighs a mere 63 pounds (28.58 kilograms). At the age of four one brown eye started clouding and now blind in that eye, she and has only limited sight in the other. However, the syndrome did not affect her two younger siblings. Despite what the doctors said, she thrived. Though her body is tiny, her bones, internal organs, and brain developed normally. However, she has no fatty tissue to store nutrients and to have enough energy to get through the day she has to eat every 15 minutes or so. “Living with this rare syndrome I know first hand what it’s like to be bullied. But I will be the first to say there is hope and it does get better!” says Lizzie. Despite an ailment that should have killed her before she was twelve months old, Lizzie, now 23 years old, is a senior majoring in Communications at Texas State University in San Marcos. During the past seven years, she transformed herself into a motivational speaker with more than 200 workshops to her credit addressing: uniqueness, coping with bullies, and surmounting obstacles. She also writes. In 2010, she published her first book, “Lizzie Beautiful“, and released her second, “Be Beautiful, Be You“, on March 1, 2012. “Some days life doesn’t make sense,” she writes in “Be Beautiful, Be You“. “You just have to change what you can, ask for help and pray about the rest“. “I feel really glad that I don’t look like the celebrities out there that are so beautiful,” Lizzie told Dr. Drew Pinsky in an interview on CNN’s Headline News. “There are a lot of stereotypes attached to that … Not looking like a supermodel gives people the opportunity to know you personally,” she explains. Readers have viewed this post more than 71,832 times. Cliquez ici pour la version française de cet article intitulé: “Société des loteries de l’Ontario Escroquerie“. I understand, this email purportedly sent by “Ontario Lottery Corporation” and similar ones from “Canada Lottery Corporation” have been floating around on the net since early 2011. Nevertheless, it has taken a bit too long to reach me. 1. First of all, this letter has obviously been written by someone who doesn’t speak native English. Example: why you have won? 2. Would an official email from the Ontario Lottery contain errors like these? 3. Although there is a legitimate lottery in Canada, it works like the lotteries in the United States, with each province selling their own tickets. But why is this Ontario Lottery picking the winners by email? 4. Why is the Ontario Lottery paying the prize in US Dollars? 5. Why did the letter come to me as a graphic instead of text? To bypass spam filters of course. Ontario Lottery and Gaming Corporation (OLG) is an Operational Enterprise Agency created by the Government of Ontario. OLG and its affiliated companies employ more than 18,000 people throughout the province. They are responsible for 24 gaming sites and sales of lottery products at about 10,000 retail locations across the Province of Ontario. 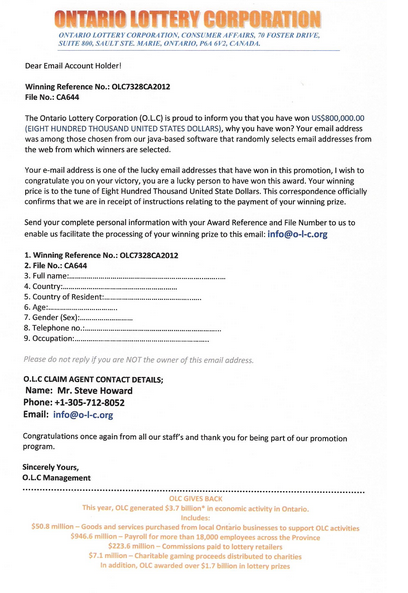 This is what I found on their website OLG cautioning the public not to become prey to these types of scams. You did not buy a ticket. You have never heard of the lottery game. You did not register your name, address, email address, phone number, and a credit card before buying a ticket on an online lottery website. You do not live in the country (in this case CANADA), and you are not a citizen of the country of that lottery. You are told you must reply within a given time or the money will be given to someone else. The Carousel on the National Mall, Washington, DC. On March 31, 2012, my wife and I visited the National Mall in Washington, D.C.
Click here on this link to see a fantastic –> photo of the National Mall and The Capitol in Washington, DC. Near the Smithsonian Castle, on Jefferson Drive, on the National Mall, is an authentic carousel with brilliantly painted hand-carved animals. 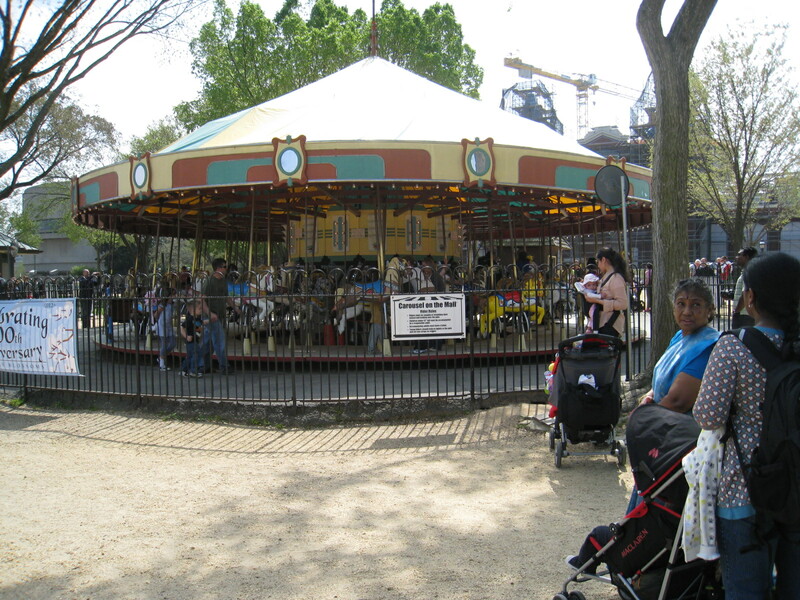 This old carousel called “The Smithsonian Carousel” is not big, but is a big draw on the Mall for kids – young and old. Even if you are not so young like me, it is still fun to just see a bit of old-world fun and the old horses. The Smithsonian carousel was built in the 1940s by the Allan Herschell Co., but its history is far richer than the families who frequent it might suspect. Before the carousel arrived on the Mall in 1981, it was a popular attraction at Gwynn Oak Amusement Park in Woodlawn, Maryland, one of the region’s most booming parks. Gwynn Oak, as many amusement parks were at that point of time, was for whites-only. Rev. Dr. Martin Luther King, Jr. gave the famous speech “I Have a Dream” on August 28, 1963. According to Amy Nathan, author of “Round and Round Together, “Gwynn Oak Amusement Park dropped segregation on the very same day as the March on Washington, and on that day, Sharon Langley was the first African-American child to go on a ride there. A friend said that he took his kid to the mall in November last year and the price for the ride was $2.50 and he hitched a free ride with his toddler. So, it was free then for the parent or guardian if the children were under 42″ high or needed supervision. As of April 30, 2011, the ride costs $3.50. And if your child is under 42″, and even if you aren’t going to ride a horse, you have to pay for an extra ticket to supervise them. My son Subas, his friend Joe and Joe’s wife Annie took my wife and me to a Japanese steak, seafood and sushi restaurant named Sakura in Ellicott City, Maryland. At first, my wife and I were a bit reluctant to go to a Japanese restaurant since we had never tasted Japanese food in our life. The atmosphere was very congenial, and we liked it. Subas and Joe went through the menu card and ordered a variety of dishes. 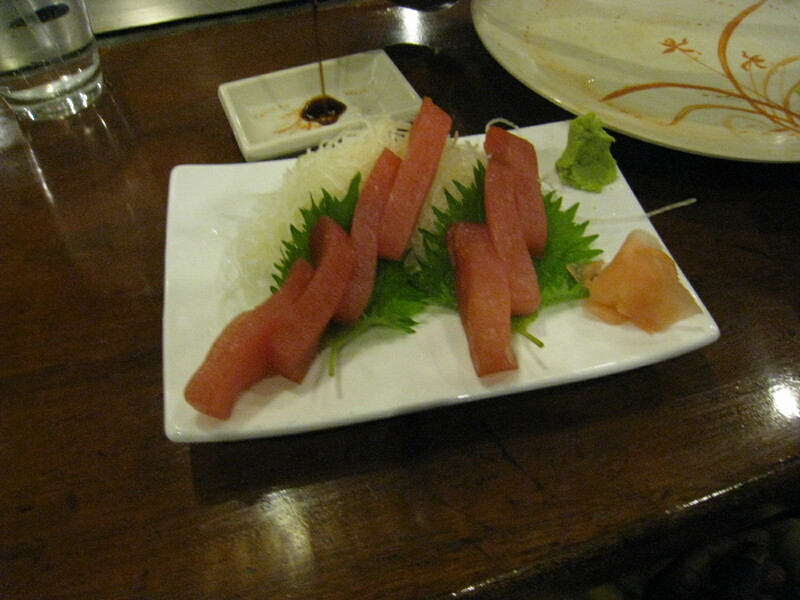 The brisk and cheerful Japanese chef prepared the main course then and there in front of us. Since I am not familiar with Japanese cuisine, I am sorry for not being able to recall the names of the food that we ate. But the food though unfamiliar to us was very tasty and we enjoyed the evening munching. The year 2012 is a once in a lifetime centennial celebration year to commemorate the gift of 3,020 cherry blossom trees from the people of Japan to the people of the United States. A century ago, a world-famous chemist and first president of Daiichi Sankyo Co, Ltd, Dr. Jokichi Takamine, played a pivotal role in arranging the gift of trees from the City of Tokyo to Washington, DC. On March 27, 1912, Mayor Yukio Ozaki of Tokyo City donated the trees to enhance the growing friendship between the United States and Japan and to celebrate the continued close relationship between the two nations. First Lady Taft and the Viscountess Chinda, wife of the Japanese Ambassador, planted the first two cherry trees on the northern bank of the Tidal Basin. These two original trees are still standing today near the John Paul Jones statue at the south end of 17th Street. Workmen planted the rest of the trees around the Tidal Basin and East Potomac Park. Even after a century the trees have spread their roots and survived the elements, and have withstood the test of time. This year the centennial celebration of the gift of trees will be celebrated from March 20 – April 27, 2012, in Washington, DC. 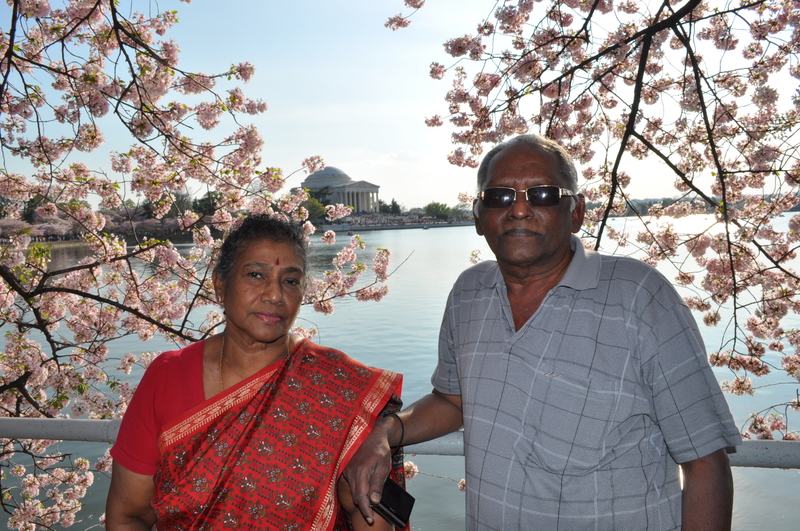 On March 23, 2012, my wife and I were in Washington, DC. We felt blessed to be in US during this centennial of the gift of trees. I took countless photographs that day. Here I have embedded a video that I created using my photos. It was an unforgettable evening that we spent surrounded by cherry blossom. The music playing in the background is one that I enjoy listening without tiring – Carlos Santana’s ever green “Flor D’Luna (Moonflower)“. Readers have viewed this post more than 113,164 times. The pair of bean-shaped kidneys, each about the size of a fist, are vital organs in our body located, one on each side of the spine, near the middle of our back, just below the rib cage. The kidneys perform many functions to keep our blood clean and chemically balanced. Our body uses food for energy and maintenance. Wastes in the blood come from food that we consume and from the normal breakdown of active tissues, such as muscles. Every day, a person’s kidneys process about 200 quarts of blood and filter out about 2 quarts of waste products and remove excess water. The wastes and excess water flow to the bladder through two tubes called ureters as urine. The bladder stores urine until releasing it through urination. Coriander (Coriandrum sativum), also called cilantro, koththamalli (in Tamil), or dhania (in Hindi) is an annual herb in the family Apiaceae. In the English-speaking world (except for the U.S.) the leaves and seeds are known as coriander. 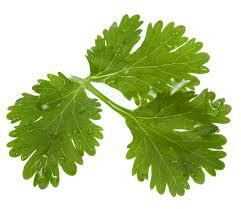 In American culinary usage, the leaves are generally referred to by the Spanish word cilantro. Coriander is an excellent source of minerals like calcium, potassium, manganese, iron, and magnesium. It is also rich in many vital vitamins essential for optimum health including vitamin-A, beta carotene, vitamin-C and folic acid. By the way, vitamin-C is a powerful natural antioxidant. A study found both the coriander leaves and seed act as antioxidants, however, the leaves were found to have a stronger effect. Hence, Coriander like many other spices can delay or prevent spoilage of food seasoned with this spice. Chemicals derived from coriander leaves were found to have antibacterial activity against Salmonella choleraesuis, caused in part by these chemicals acting as nonionic surfactants. Coriander seeds are used in traditional Indian medicine as a diuretic (a substance or drug that tends to increase the discharge of urine) by boiling equal amounts of coriander seeds and cumin seeds, then cooling and consuming the resulting liquid. The powerful anti-inflammatory capacities of coriander can help one deal with symptoms of arthritis. Coriander also increases HDL cholesterol (the good) and reduces LDL cholesterol (the bad). Cholesterol is not all bad. It is an essential fat. In fact, it provides stability in every cell of our body. The liver makes some cholesterol and some come from diet. Cholesterol cannot dissolve in blood, so transport proteins called lipoproteins carry it to locations where it needs to go. The low-density lipoprotein (LDL) cholesterol particles are less dense than other kinds of cholesterol particles. Each microscopic blob of LDL cholesterol consists of an outer rim of lipoprotein surrounding a cholesterol centre. What Makes LDL Cholesterol Bad? It is just its chemical makeup. Here’s how high amounts of LDL cholesterol leads to plaque growth and atherosclerosis. Some LDL cholesterol circulating through the bloodstream tends to deposit in the walls of arteries. This process starts as early as childhood or adolescence. White blood cells swallow and try to digest the LDL, possibly in an attempt to protect the blood vessels. In the process, the white blood cells convert the LDL to a toxic (oxidized) form. More white blood cells and other cells migrate to the area, creating steady low-grade inflammation in the artery wall. Over time, more LDL cholesterol and cells collect in the area. The ongoing process creates a bump in the artery wall called a plaque – made of cholesterol, cells, and debris. The process tends to continue, growing the plaque and slowly blocking the artery. An even greater danger than slow blockage is a sudden rupture of the surface of the plaque. A blood clot can form on the ruptured area, causing a heart attack. The High-density lipoprotein (HDL) cholesterol particle is dense compared to other types of cholesterol particles. Each microscopic blob of HDL cholesterol consists of a rim of lipoprotein surrounding a cholesterol centre. The well-behaved HDL cholesterol is a friendly scavenger that cruises the bloodstream. It removes harmful bad cholesterol from where it doesn’t belong. High HDL levels reduce the risk for heart disease — but low LDL levels increase the risk. HDL cholesterol scavengers and removes LDL cholesterol. HDL reduces, reuses, and recycles LDL cholesterol by transporting it to the liver where it is reprocessed. HDL cholesterol acts as a maintenance crew for the inner walls of blood vessels (endothelium). Damage to the endothelium is the first step in the process of atherosclerosis, which causes heart attacks and strokes. HDL chemically scrubs the endothelium clean and keeps it healthy. 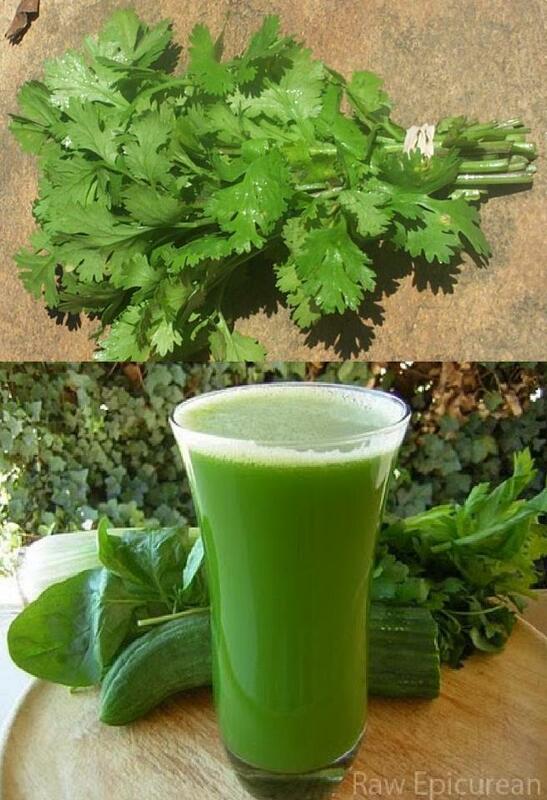 Coriander leaves offer great relief from stomach indigestion problems and the like. It also helps reduce feelings of nausea. Since it has strong antioxidant properties, it helps promote healthy liver function. By the way, coriander can produce an allergic reaction in some people. So, please consult your physician before consuming the coriander decoction. Above the lovely valley of Emmitsburg, Frederick County, Maryland, just 12 miles south of Gettysburg, situated high on the mountainside, where nature displays itself in all its picturesque and wild glory sits the wondrous National Shrine Grotto of Lourdes – a shrine which traces its lineage to the very beginnings of the spread of Catholicism in America. Incredibly linked with Saint Elizabeth Ann Seton, the first native-born American to be canonized by the Catholic Church, the Shrine is one of the oldest known American replica of the revered French shrine, dating to about 1875, two decades after the apparitions at Lourdes (1858), although the site had already been in use since 1805, when Father John Dubois founded it as a place of prayer and devotion. 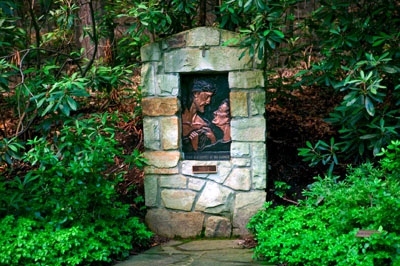 This holy mountain sanctuary of historic importance to the Catholics of America has been devoutly tended throughout the years and attracts thousands of pilgrims from all parts of the world for prayer and meditation. 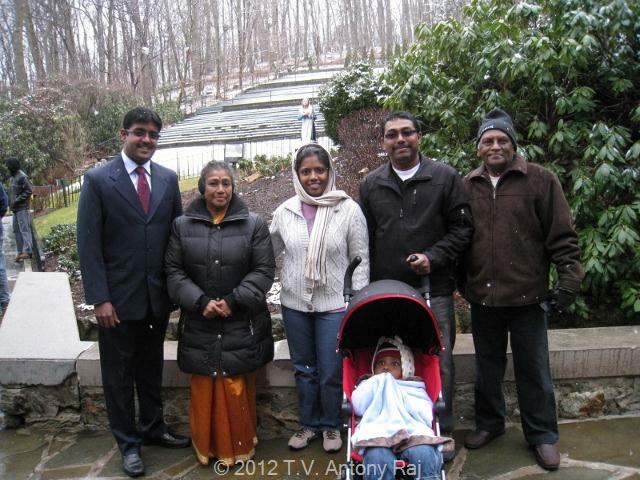 My wife Assuntha and I along with my son Subas, daughter-in-law Maria Ligia, grandson Rohan and my grandson’s godfather Joe Napoleon visited this holy shrine on Saturday 11 February 2012. 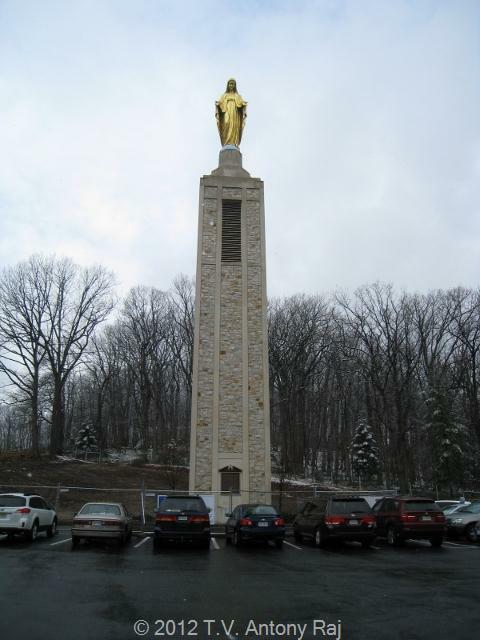 It was snowing that day, nevertheless, we thank the Almighty for leading us to Emmitsburg, where Saint Elizabeth Ann Seton, the first American saint had trod a long time ago on the feast day of Our Lady of Lourdes. In the year 1728, a group of Catholics left St. Mary’s City on the St. Mary’s River, in Maryland, and travelled westward seeking peace and religious freedom. These Catholics were children and grandchildren of the early colonists of Maryland. Among the refugees of 1728, were the members of the William Elder family, forebears of Archbishop Elder of Cincinnati. They travelled to the west almost one hundred miles to the Blue Ridge Mountains, located in the eastern United States, starting at its southern-most portion in Georgia, then ending northward in Pennsylvania. 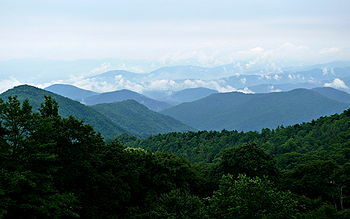 They stopped at the first range of the Blue Ridge Mountains, giving the loved name, “St. Mary’s Mount” to its eastern prominence. Finding rest in a peaceful valley of “surpassing beauty,” which they called “St. Joseph’s Valley,” they took the land and built their homes. Here they were cared for spiritually through the years by missionary priests forced to travel in disguise because of the penal laws against Catholics prevailing during that time. 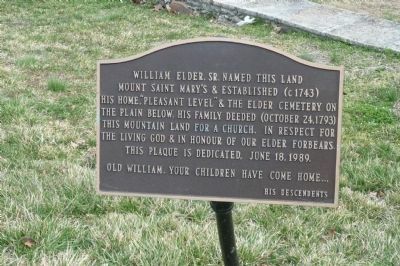 The Elder farmhouse became known as “Elder’s Station.” Here Mass was celebrated and the dead were buried in the adjoining cemetery. 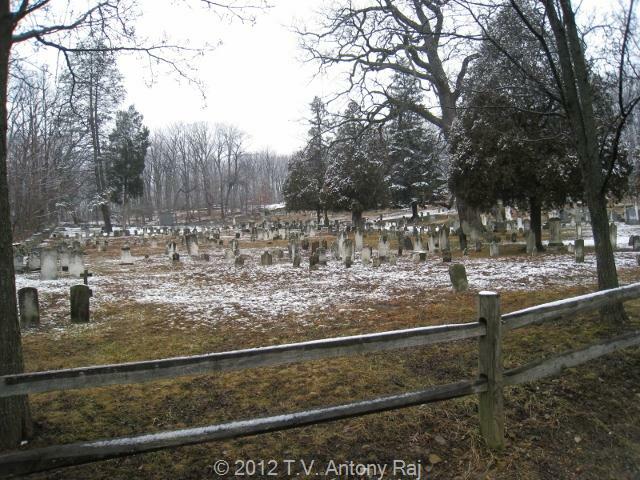 In 1805, after the Revolution and the constitutional grant of religious freedom, Father John Dubois, a refugee priest from France, came to this area and settled. This priest, who later became Bishop of New York, was, in the year 1794, appointed pastor of Frederick by Bishop Carroll. His pastorate included all of western Maryland and western Virginia. Of all the lovely places he visited in this wild and mountainous country, he came to love most the Mountain of Mary and the Valley of St. Joseph. 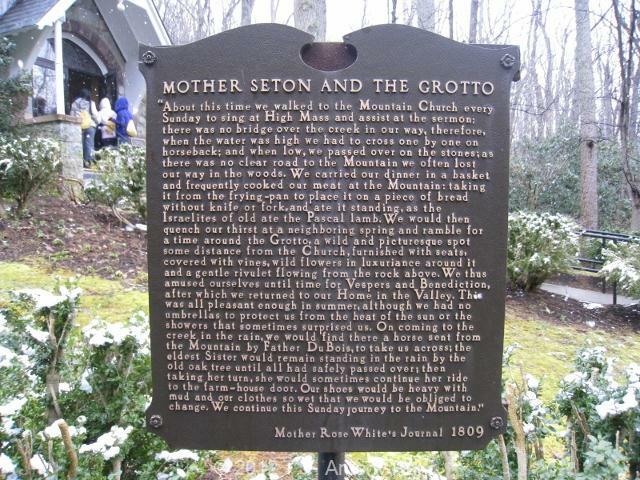 In 1805, on St. Mary’s Mount, Father John Dubois built St. Mary’s Church at the site of the present Grotto parking lot. For over a century, this church was a beacon calling the faithful to Mass from the Valley and a reminder to them to keep the Faith. Numerous paths, traceable up to this day and all converging on the church, show with what fidelity the Catholics practised their faith. To this very day the people of the Valley, now members of St. Anthony’s parish, exhibit a strong, living and very simple faith. Families have lived here for many generations. Very few move away. They are a happy people with a proud awareness of their ancient Catholic heritage. After all, very few parishes in these United States can claim that they have had uninterrupted priestly service for 235 years. Very few Americans can say that their forebears were taught by holy people. They are the spiritual children of Saint Mother Seton. On the lower terraces, Father Dubois began the first building of Mount Saint Mary’s College and Seminary in 1808. 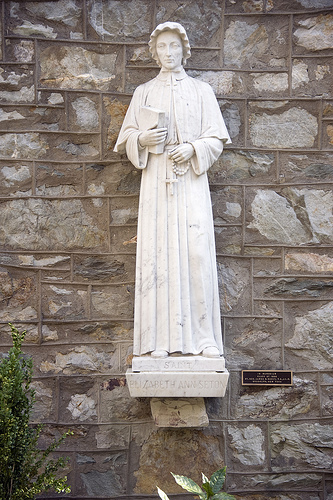 One of the holy founders of the Grotto, Father Simon Gabriel Bruté came to the Mountain in 1812. 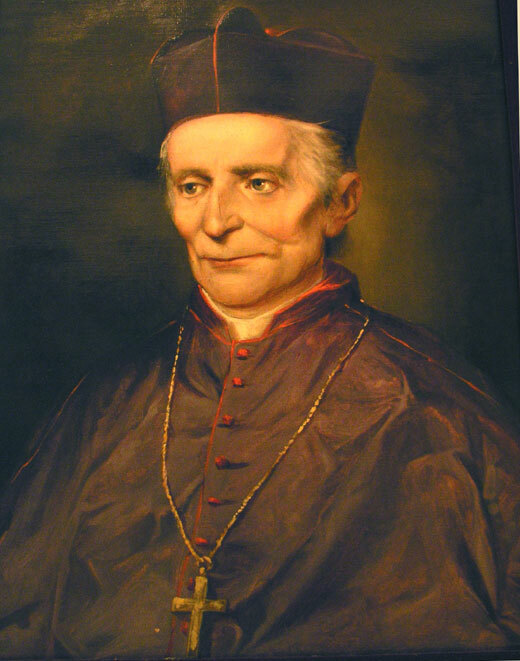 This remarkable priest, later first Bishop of Vincennes, Indiana, combined in his person the talents and attainments of a scholar, theologian, master of the spiritual life, teacher, and pastor of souls. 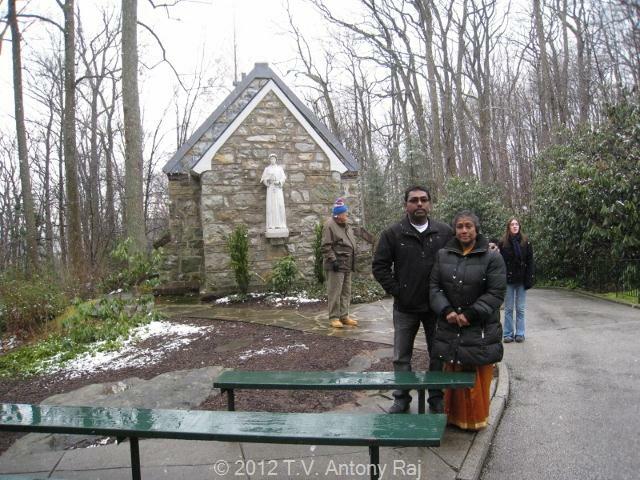 This spiritual enthusiast reveled in the beauty of the Mountain of Mary and the Valley of St. Joseph. Father Bruté brought to the Mountain and the Valley a program of holy activity. Remembering the orderly, cultivated hills of his native France, Father Bruté strove to “smooth the frown from nature’s erring face.” Springs were cleaned out, covered and named for saints; terraces and paths found their way up the rugged Mountainside to the. church and Grotto. They were constructed so well that we walk along them today and the stone walls remain. He attached crosses to the trees on the path between the church and the Grotto so that one might make the Stations of the Cross along this beautiful woodland avenue. On the left side of the Grotto parking lot. 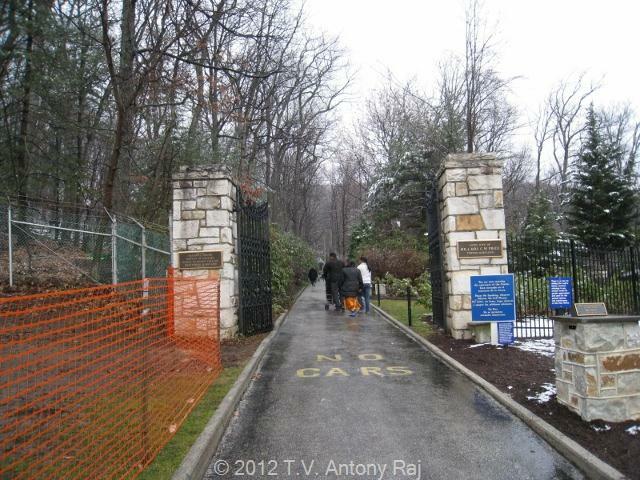 several hundred yards back in the mountains, behind the site of Father John Dubois’ church, is the famous Grotto, the most ancient shrine consecrated to Mary, the mother of God, in continuous existence in the original thirteen colonies, on which was begun in 1875 the first Lourdes Grotto in America. A memorable devotion centered about the old Grotto was the annual Corpus Christi procession. 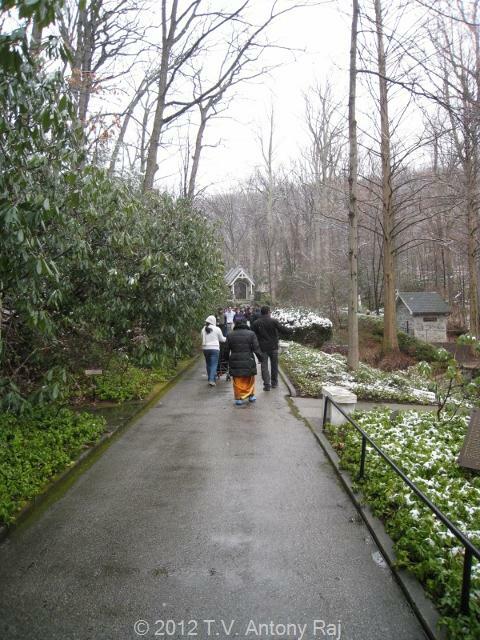 It was during Father John Baptist Purcell’s (later Archbishop of Cincinnati, Ohio) term as president of the college (1829-1833) that these annual processions at the Grotto over Father Bruté’s paths began, or at least began to be chronicled, and another charm was added to the Mountain. 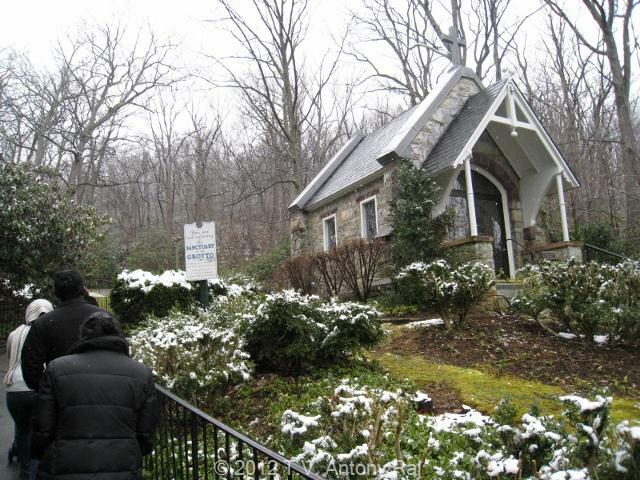 This stone chapel was built in 1906 on the site of the original Grotto discovered by Father John DuBois in 1805. There is a legend that Father John Dubois, on one of his pastoral journeys, was attracted by a light on the mountain and found this spot, one of the loveliest in the world. 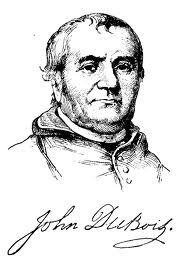 Those of a more practical mind may surmise that Father John Dubois was seeking the source of the stream which flowed out of the ravine into the valley below. Just what did the priest find on his day of discovery? He climbed a steep ascent through a rocky ravine along a tumbling torrent, which was much broader and more unruly than at present, for its volume has lessened since the trees were cut down on the mountain. He came upon a lovely clearing, a masterpiece of natural beauty. Sharply sloping hills from almost every side formed a natural amphitheater where nature “displayed itself in all its wild and picturesque beauty.” In the center of this clearing, where now the stone chapel stands, he saw a mound, shaded by the branches of an ancient oak. Such huge oak trees are seen even to this day on the mountain, survivors of the woodsmen’s devastation. 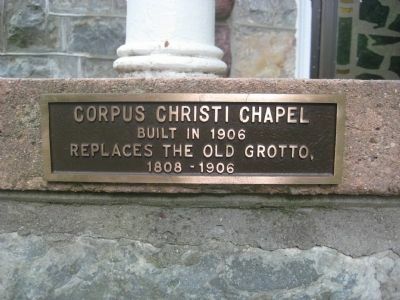 In any event, Father John Dubois found the Grotto-site, a dell of breath-taking beauty, and there erected a rude cross. “About this time we walked to the Mountain Church every Sunday to sing at High Mass and assist at the sermon; there was no bridge over the creek in our way, therefore, when the water was high, we had to cross one by one on horseback; and when low, we passed over on the stones; as there was no clear road to the Mountain we often lost our way in the woods. We carried our dinner in a basket and frequently cooked our meat at the mountain; taking it from the frying-pan to place it on a piece of bread without a knife or fork, and ate it standing, as the Israelites of old ate the Pascal Lamb. We would then quench our thirst at a neighboring spring and ramble for a time around the Grotto, a wild and picturesque spot some distance from the Church, furnished with seats, covered with vines, wild flowers in luxuriance around it and a gentle rivulet flowing from the rock above. We thus amused ourselves until time for Vespers and Benediction after which we returned to our Home in the Valley. This was all pleasant enough in summer, although we had no umbrellas to protect us from the heat of the sun or the showers that sometimes surprised us. On coming to the creek in the rain, we would find there a horse sent from the Mountain by Father Du Bois, to take us across; the eldest Sister would remain standing in the rain by the old oak tree until we all has safely passed over; then taking her turn, she would sometimes continue her ride to the farm-house door. 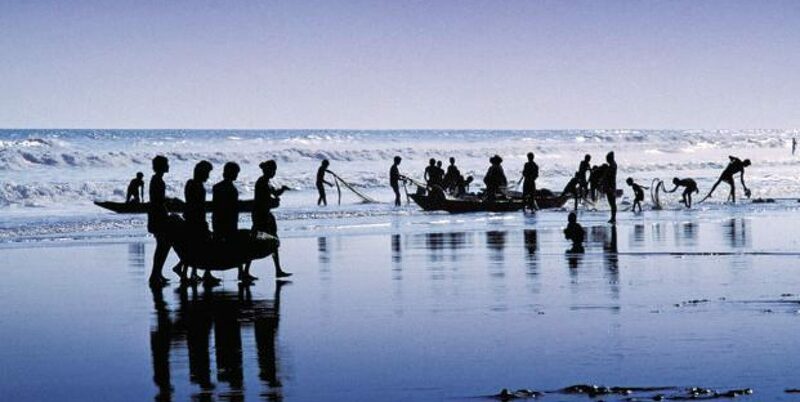 Our shoes would be heavy with mud and our clothes so wet that we would be obliged to change. We continue this Sunday journey to the Mountain.” – Mother Rose White’s Journal 1809. The eldest Sister, mentioned by Mother Rose must definitely be Mother Seton.